A true break-through in cleaning, our powerful green All-In-One Probiotics cleans down to the actual microscopic level and eliminates the BioFilm that shields dirt, bacteria and other contaminants, reducing the risk of infection and odors, mold and mildew. 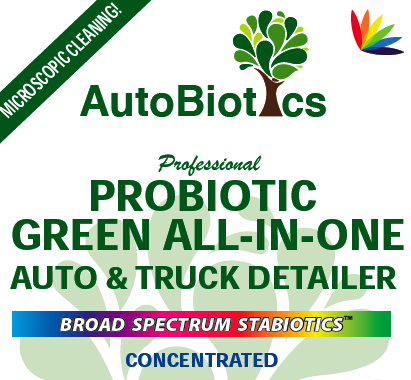 Autobiotics Green Cleaner keeps on working and protecting surfaces for up to 3 days between applications by applying a long-lasting layer of beneficial organic probiotics to create a safe, stable and odor free environment for your vehicle, you and your family. Autobiotics does not cover up odors – it eliminates the cause. 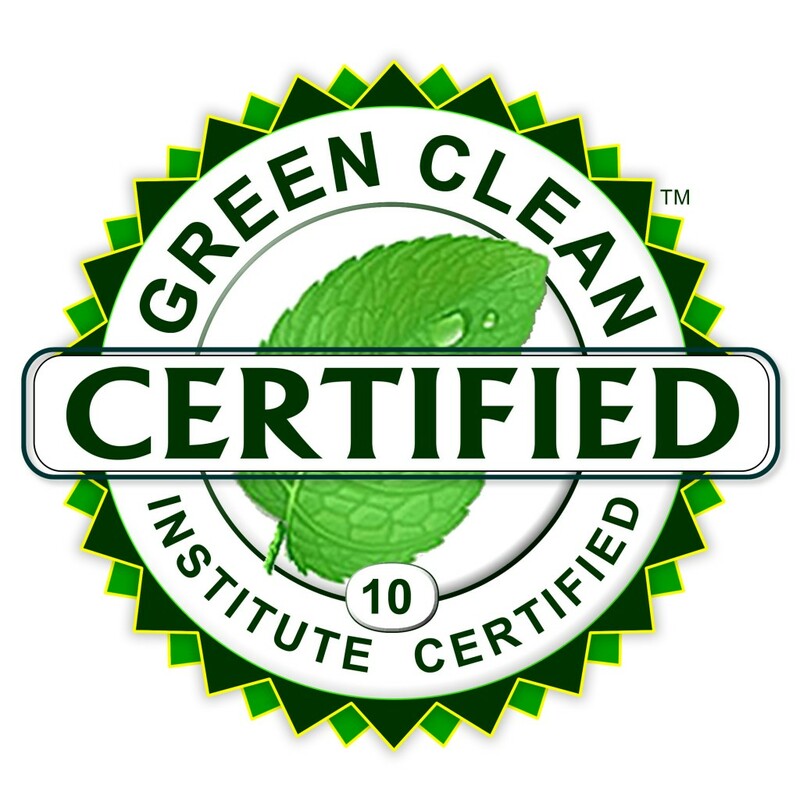 AutoBiotics Probiotic Cleaners are highly concentrated, safe and economical to use. *Shake Concentrate daily before using and attach to our Portable or a wall Automatic Dilution Unit. For heavy grime & fastest effect, dilute 32 to 1 (4oz to each gallon). For light cleaning higher dilutions can be used. *Fill bucket & wash vehicle to normal washing standards. *Dry vehicle with a squeegee or chamois, then use dry micro fiber towel for final wipe for a polished like finish. Spray on windows, wheels, chrome, leather, cloth, dashboards. *Do not over apply the product, lightly spray on all surfaces to be cleaned & may apply the additional product on stained surfaces. *Quickly wipe up surface with one cloth and finish with a dry microfiber cloth for a polished look. For Odor Control turn on vehicle A/C in recirculation mode, fog or mist our StaBiotic™ Mist for up to 5 minutes, making sure you spray and reach all surfaces, let stand about 10 minutes after application then wipe if needed. Once diluted, discard mixed solution after 7 days by pouring in drains to clean and remove odors. Safe for septic tanks. INGREDIENTS: Purified water, proprietary stabilized beneficial organic probiotics, surfactants, enzymes & Fresh Spring Scent. CAUTION: KEEP OUT OF THE REACH OF CHILDREN. Do not swallow. If eye contact occurs, rinse with water. Store at room temperature. Do not store in direct sunlight and do not freeze! Keep below 120°F.